Singer Ariana Grande and rapper Mac Miller have decided to break up. 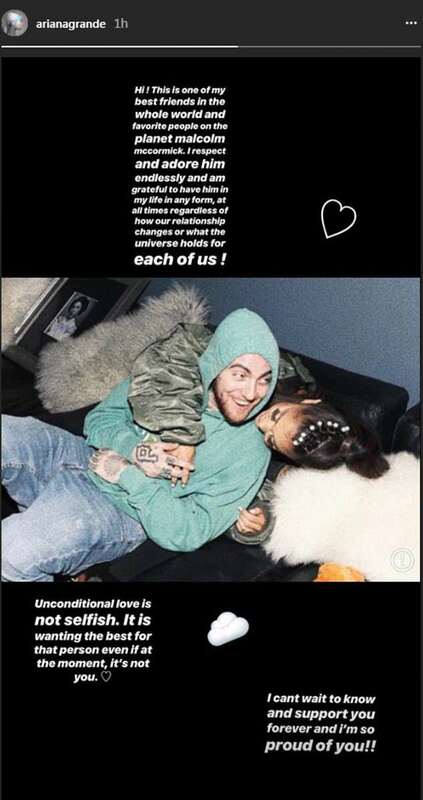 (AllHipHop Rumors) Rapper Mac Miller and singer Ariana Grande have been dating for over a year now. The couple first hooked up after Grande split from then-boyfriend rapper Big Sean. After the split, photos surfaced of Ariana being seen out with Mac Miller. They would later confirm rumors of their dating after being seen kissing in public. Now news is being reported that the two young celebrities have broken up. Mac Miller and Grande first began dating in September of 2016 and were together for almost two years. The former coupled recorded a single together almost a year before they began dating. Miller recently tweeted about Grande's latest single before their breakup was announced. According to the rumor, the breakup was a mutual decision and the two will remain friends. We're not even halfway through 2018 and this is already gearing up to be a hot summer.